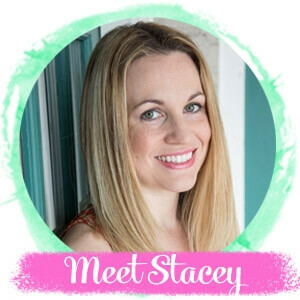 Inside: How to easily, safely, and effectively remove grass stains from kids clothes without dangerous chemicals and without heavy scrubbing! Sponsored by ESPRO Sports Cleaner. The season of outdoor gatherings, sports games for the kids and late evenings playing games in the grass is upon us. We love all the fun to be had with activities for our kids but the one thing I dread is spending the time trying to scrub grass stains out of clothes! Why are Grass Stains so Tough to Remove from Clothes? Interestingly, grass stains function much the same as dye stains. Grass contains pigments that adhere to the fibers in clothing — which is why they are so difficult to get out once they’ve set. With grass stains, the key is to act fast and use a product that’s proven to work! There are a few products you definitely want to avoid when trying to get rid of grass stains. 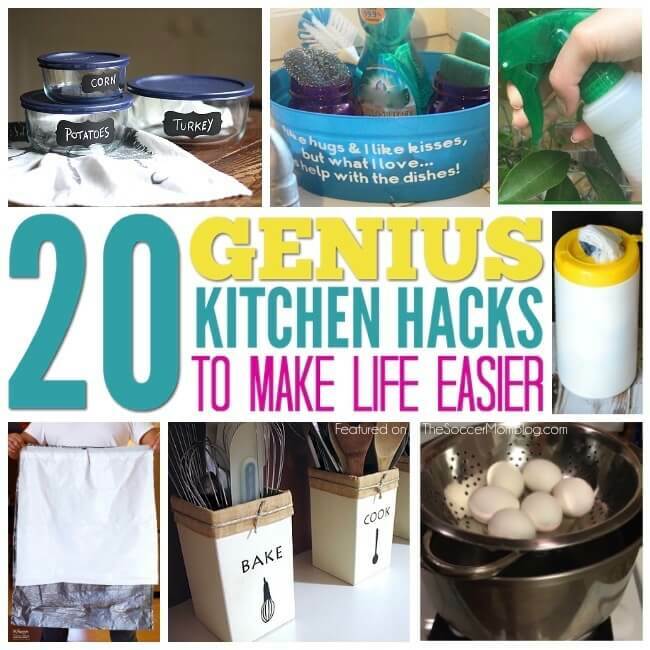 While these products might be perfect for other household cleaning tasks, they may actually cause grass stains to set faster, which is exactly the opposite of what we want. If you’ve ever done a search or asked anyone what their special trick is for grass stain removal, then you may have come across the following ideas. 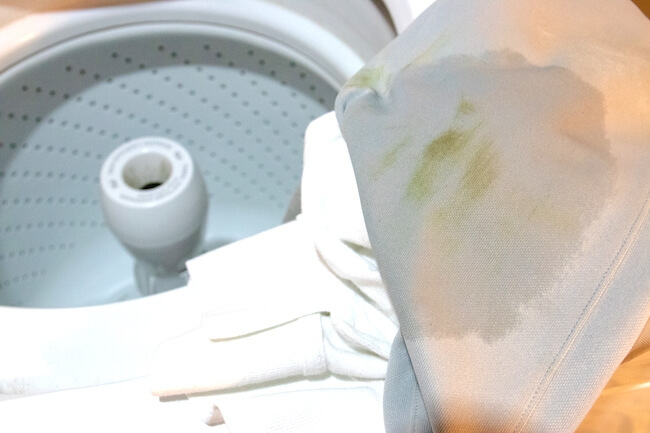 However, for especially tough grass stains, or stains that have already set, these products might not be enough to restore your clothes to their original color. Some products may be effective, but can actually be harmful to certain types of clothing (I’m looking at you, bleach!) 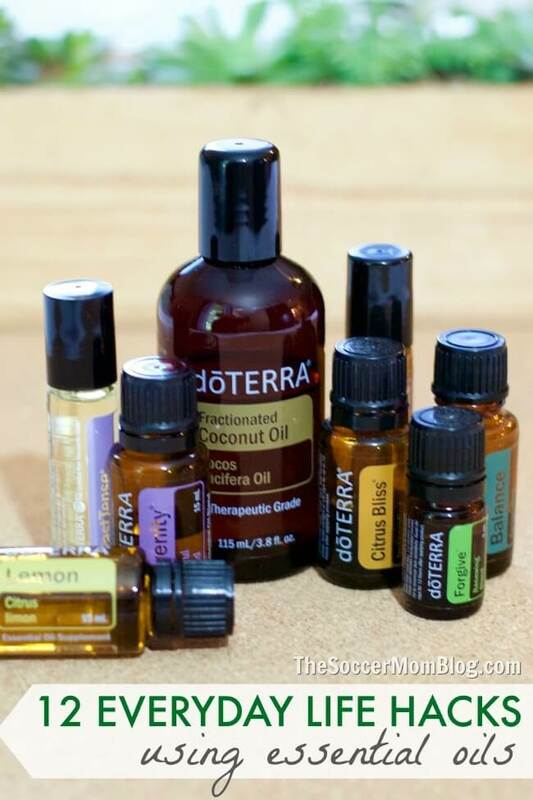 Others contain hazardous chemicals that you might not want to use in a household with kids and pets. Since we DO have kids (who else gets so many grass stains, after all?) we needed to find a product that would safely remove grass stains. 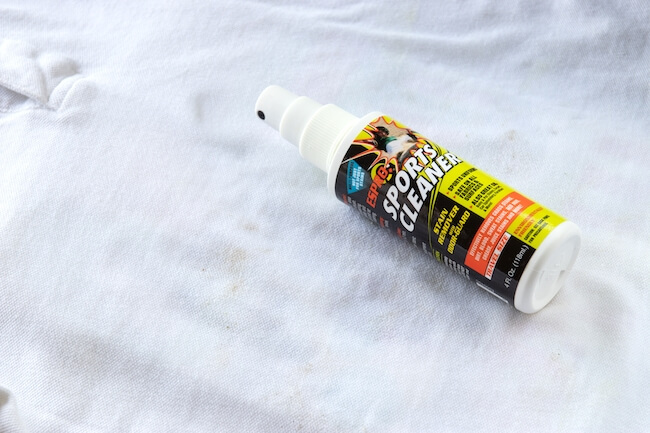 We use ESPRO Sports Cleaner for all of our family’s stain removing needs and we are beyond impressed! 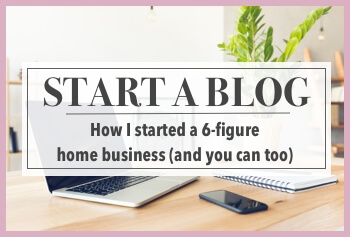 We are convinced this is one of the best products out there! 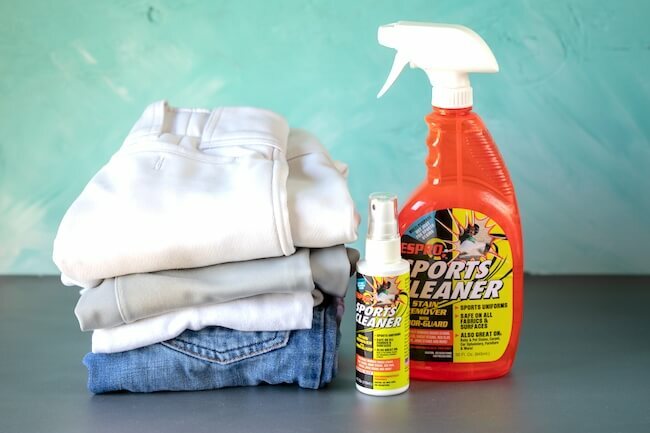 You will be able to tackle all the stains that come with sports and every day play from your kids uniforms and clothes saving you time and money too! 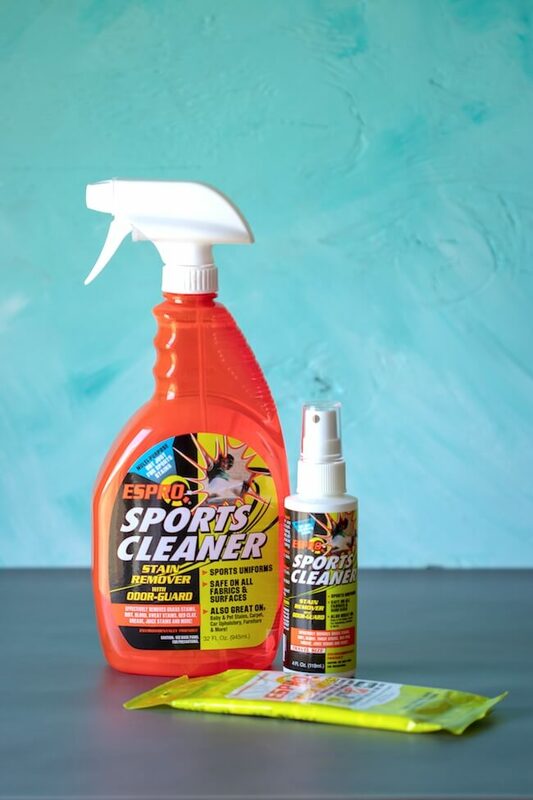 GIVEAWAY ALERT: Keep reading to find out how you can enter to WIN an ESPRO Sports Cleaner Deluxe Kit! This is how we remove grass stains in our home using ESPRO Sports Cleaner. 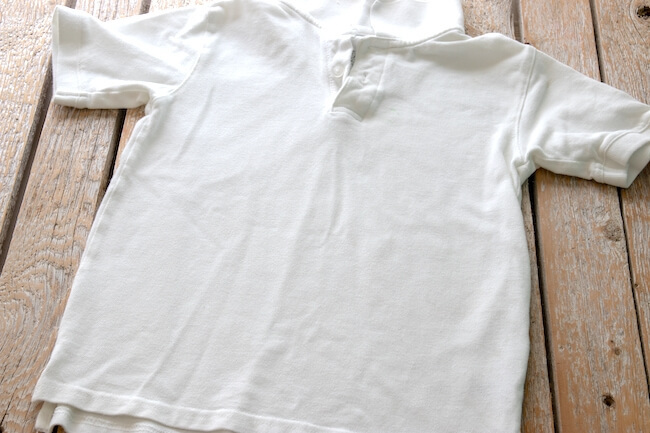 Repeat this simple step-by-step process to remove stains from uniforms, pants and more. Bonus: You can also use ESPRO Sports Cleaner in carpet shampooers and car seats! This allows you to see clearly the areas you need to remove stain from. Apply cleaner directly to the stain until the stain is saturated. No scrubbing is required (hard scrubbing can damage clothing fibers), though you may rub stain gently with a soft cloth or brush. This simply makes sure that the cleaner is fully absorbed. 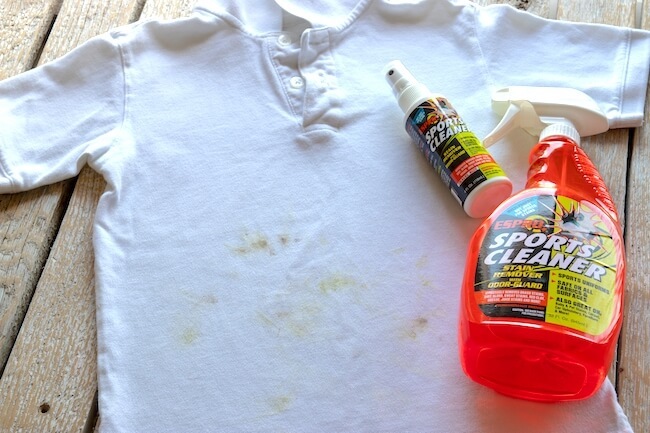 For most stains, allowing ESPRO Sports Cleaner to soak into the stain for at least 3-5 minutes should be plenty. For older, set-in stains, allow to set for 24 hours. Then spray again and let sit 5 minutes immediately before washing. The final step is to simply wash your clothes in the washing machine as you usually would. Use your normal laundry detergent, and add a small amount of ESPRO Sports Cleaner to the wash for an extra boost. 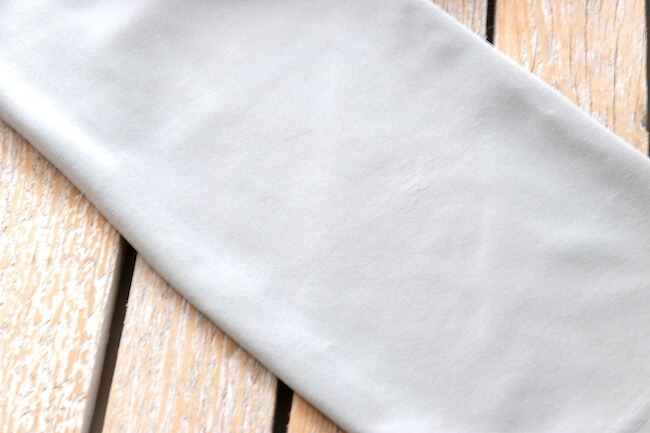 The end result is beautifully clean clothes with no stains in sight! What a difference a GOOD stain remover makes! Can you believe our after picture?! 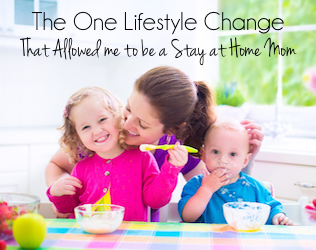 We are beyond impressed and can not imagine not having this product in our home now. 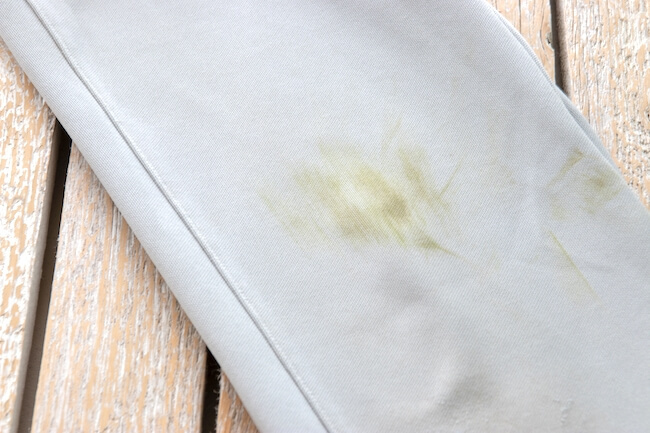 Sports games, outdoor play and food/drink spills — stains are simply a part of life with kids! That’s why we love a product that will actually WORK on the toughest stains, without requiring tons of time scrubbing or washing over and over. 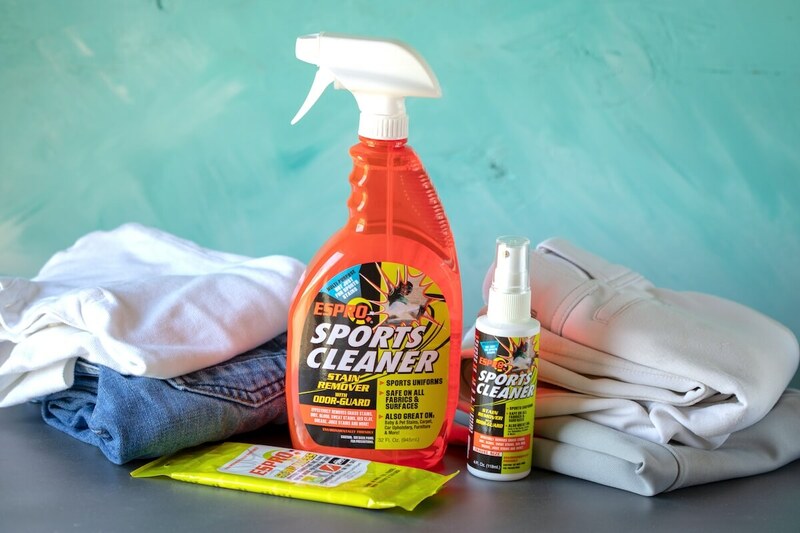 ESPRO Sports Cleaner Stain Remover and Odor Guard is one of those products that when you find it, you wonder how you ever got by without it! My husband (the chef in the family) forgot to wear his apron one evening and stained a good shirt with cooking oil. He was super bummed because grease stains are notoriously hard to get out of clothing. However, ESPRO Sports Cleaner did just that! [This] product is actually miraculous! 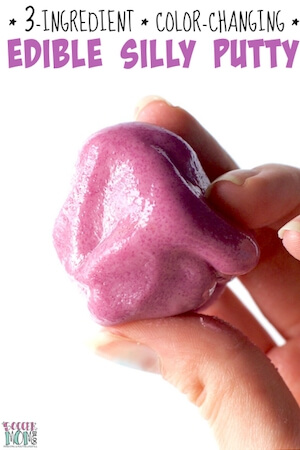 It removed that stain in minutes just from spraying it on… it’s seriously bomb! In addition to selling ESPRO on their online store, you can also purchase it in select Walmart stores, Walmart.com and Amazon.com. Prize includes: one 32oz spray bottle, one 64oz refill bottle, one pack (12) of our ESPRO Stain Wipes and Two Microfiber Towels. 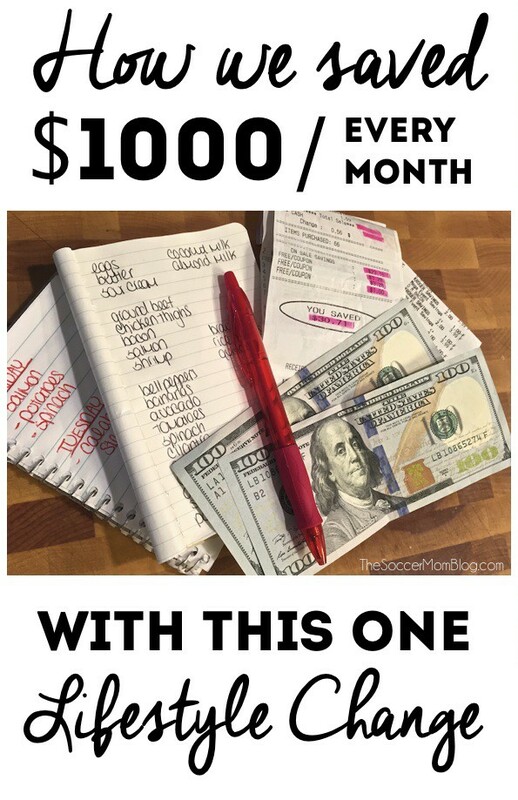 Giveaway ends 6/15/18 at 4:00pm CST. One winner will be chosen from qualified entrants ages 18+ in the 48 contiguous United States & D.C.